Quality is a major competitive advantage for COOPENOIX. 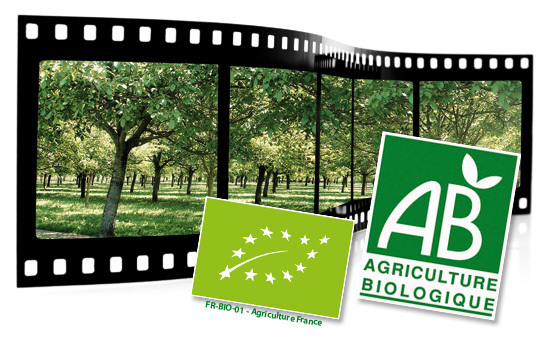 The IFS certification (obtained at the end of 2007 on inshell walnuts and in 2010 on shelled walnuts), enshrines the voluntary high quality approach implemented by the cooperative. The organization of quality managment imposes the implementation of many procedures intended to ensure the traceability of the process and the quality of the products, from the reception of the walnuts through the work-in-process of manufacturing to the shipments to the customers. This approach based on continuous improvement at all stages of production requires the participation and involvement of all the staff in order to bring satisfaction to the customers. Certification is renewed annually during an audit by an independent certifying company. The first step before products can enter the cooperative's production circuit is the approval. In the presence of the grower, each and every lot is inspected to determine its classification and so its destination within the cooperative. The grower price list rate integrates all these criteria in order to obtain a corresponding payment on the quality on each approved lot. The cooperative has a technical hub of 2 agricultural technicians following-up the orchards and advicing on phytosanitary treatments. And so, it has an obligation to be certified "PHYTOCONSEIL". Both technicians have been trained to obtain their individual certificate, and the cooperative is itself certified from 2013. The aim of this certification is to keep note of all the phytosanitary treatments tips that technicians would have adviced to our producers. The cooperative itself is also certified "organic" - meaning that it can receive and work organic inshell and shelled walnuts from growers and guarantee the individualisation of the products. 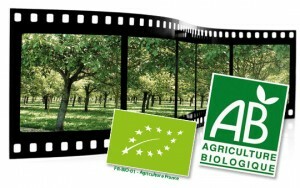 Several times a year, the cooperative is audited by the "Ecocert" organism. It also has the "Bio Suisse" certification which allows exportation of organic products to Switzerland. COOPENOIX is attached to the value of a nuciculture respectful of quality and the environment. Growers cultivates their orchards in compliance with environmental rules. These good practices, both within agricultural holdings and in the cooperative, enables to guarantee consumers a natural and healthy product. social protection, workers safety and health. Farms are certified each and every years after an audit carried out by an independent certifying entity Bureau Veritas. The implementation of this method is well-accompanied by Coopenoix's technicians who actively participated in the drawing of this walnuts Charter. Each year 300 tons of inshell walnuts from organic agriculture are delivered by fifty gowers at the cooperative which is ECOCERT certified. These figures are slowly increasing each year. Each grower is audited by a certifying entity. They have the obligation to communicate to the cooperative their organic farming certificate.